This show will debut on SLO Radio News, Saturday, July 13, 2013 at 7:05 am (PST). You’ll hear it again on Yesterday USA in a couple weeks. Check our broadcast schedule for details. Is this the best Treasure Ivan Show ever? Maybe not, but it comes very close. 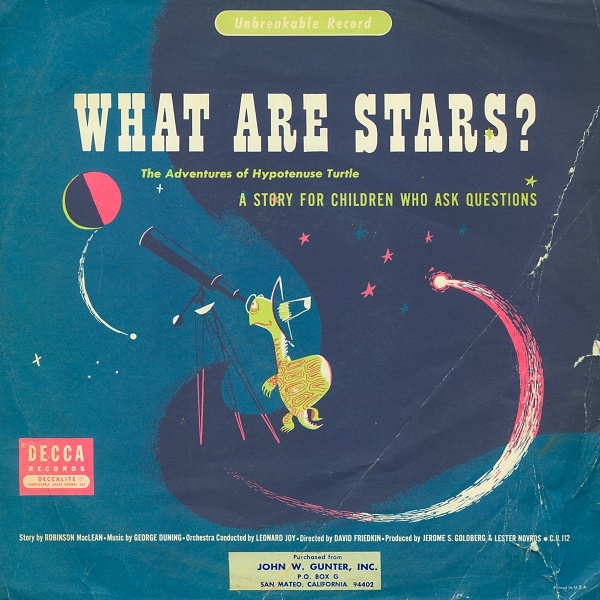 Skate the solar system with songs and stories as we chart the known universe through children’s records from the 1940’s and 50′s. Suspend your disbelief and these story-records will make you believe you are experiencing the real thing. 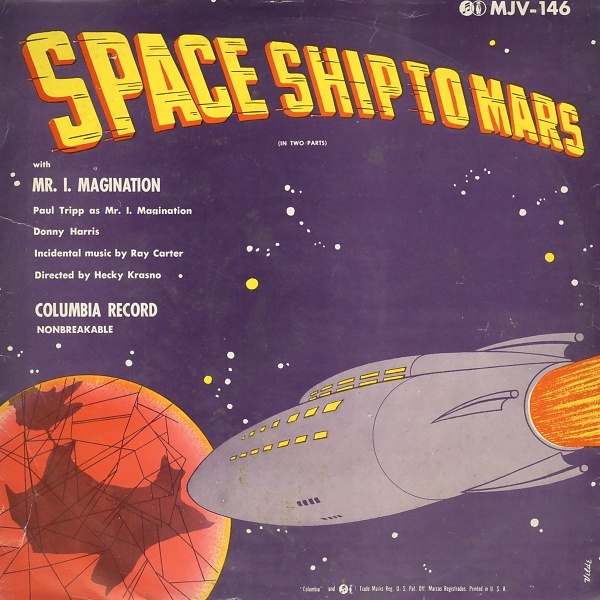 There are wonderful songs featured between these tales, ranging from Sheb Wooley’s “The Purple People Eater” to the rarely heard “Two Little Men in a Flying Saucer” by Ella Fitzgerald. Count down to blast off…and away we go!